We have a beautiful collection of Christmas cards for sale. They are all elegantly hand crafted and designed with seasonal papers and crafts. All our Christmas cards are unique and individually themed. 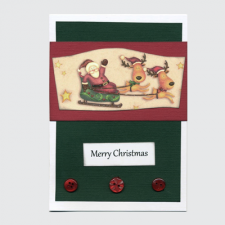 Buy your friends, family and loved ones beautifully hand crafted Christmas cards this Christmas for that extra touch rather than just another card. 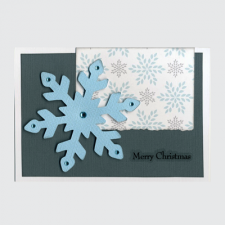 A bright Christmas card featuring a large snowflake with light blue rhinestones. Please note, th..